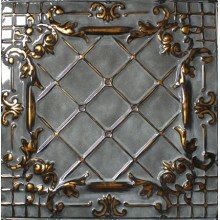 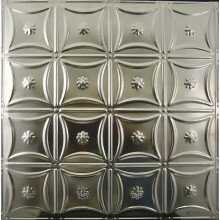 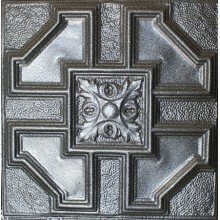 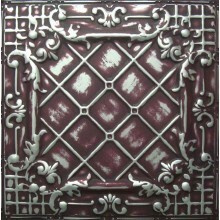 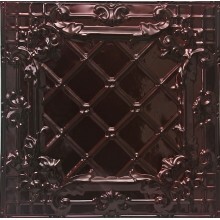 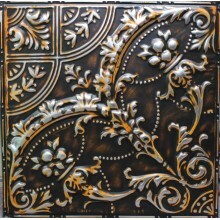 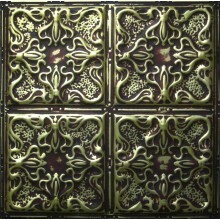 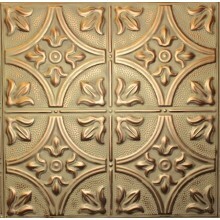 Our exquisitely crafted metal tiles are available in over 40 patterns and 100 colors. 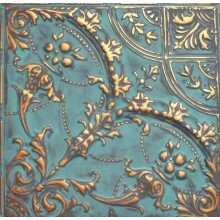 On our website, you can explore our patterns or check out our vibrant hand finished color tin panels. 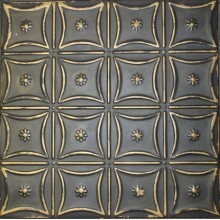 Be sure to visit our inspiration center for design ideas, guidelines and more! 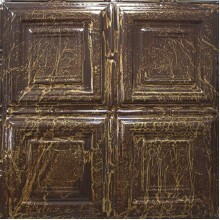 Alaska Color Hand Faux Finish in Transparent ..
Antarctica Color Hand Faux Finish in Standard..
Brazil Forest Color Hand Faux Finish in Asian Pear..
Burnt Caramel Color Hand Faux Finish in Burnt Cara..
Burnt Caramel & Gold Color Hand Faux Finish in..
Burnt Caramel & Silver Color Hand Faux Finish .. 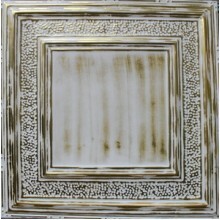 Classical Gold Powder Coated FInish in White Wash,.. 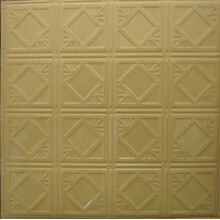 Cloud Color Hand Painted Finish in Almond & Li..
Copteal Color Hand Finished Finish in Transparent ..
Davis Color Satin Finish in Transparent Copper/Bro..
Desert Skye Color Hand Finished in Transparent Cop..
Fire Brick & Copper Color Hand Faux Finish in ..
Fire Brick & Gold Color Hand Faux Finish in Fi.. 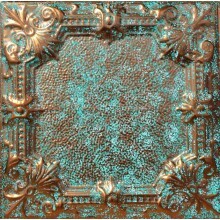 Antique Finish Forest Green Color in Bronze & ..
Georgia Color in Gold & Light Blue Finish ..
Glacier Color in Brushed Stainless & White Shi.. 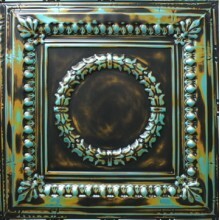 Antique Look Hawaiian Color in Custom Tri-Color Fi.. 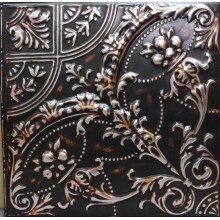 Shiny Heritage Color in Transparent Copper & A..
Illinois Color in Standard Silver & Bronze Col..
Iowa Color Old Fashioned Antique Look Finish in Co..
Jackson Color (Gray, White & Honey) Semi-Gloss..
Jefferson Color Powder Coated Finish in Transparen..
Jersey Color Hand Finished in Silver & Light B.. 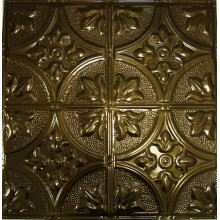 Antique Look Kansas Color in Gold & Kettle Bla..
Hand Finished Kentucky Color in Transparent Copper.. 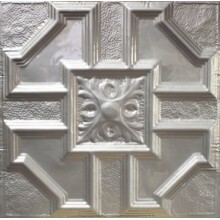 Antique Look Key West Color in Antique Brass &.. 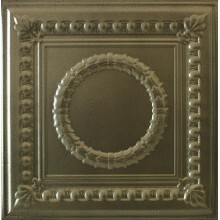 Dark Look Lincoln Color in Brass & Charcoal Fi.. 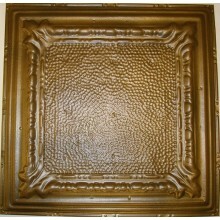 Antique Finish Louisiana Color in Transparent Copp..
Marble Brass Color in Antique Brass/Brown (Semi-Gl.. 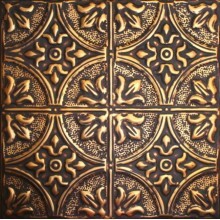 Medieval Copper Color Hand Finished in ..
Michigan Color in Transparent Copper & Ivory F..
Missouri Color in Transparent Copper & Wh..
Nebraska Color Vintage Look in Silver & Brown ..
Nevada Color, Smooth Brass, Lava, Amber Me..
North Carolina Color Old Fashioned in Textured Map..
Ohio Color Hand Finished in Burgundy & Gold ..
Oklahoma Color Hand Finished in Renaissance Gold &..
Palamino-Copper Color Hand Finished in Palamino-Ke..
Palamino-Gold Color Hand Finished in Palamino-Kett..
Palamino-Silver Color Hand Finished in Palamino-Ke..
Reno Color in Burgundy & Charcoal & Gold F..
Rustic Bronze Antique Color in Bronze Antique/ Tea..
Rustic Copper Color in Transparent Copper/ Teal &a..
Hand Finished Antique Look Texas Color in Bronze A.. 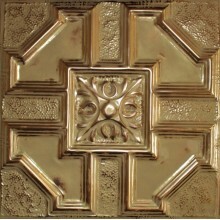 Traditional Bronze Color in Soft Copper & Whit..
Tuscan Color Finish in Transparent Copper & Br..
Utah Color in Coffee & White Finish Meta..
Vegas Color in Burgundy & Silver Finish ..
Virginia Color in Silver/Dark Kettle Finish (..
Hand Finished Washington Color in Transparent Copp..
Copper Vein Color Finish in Copper & Gold ..
Gold Vein Color Finish in Gold & Black (Not Gr..
Penny Vein Color Finish in Metallic Slight Penny &..
Silver Vein Color Finish in Bright Silver & Bl.. 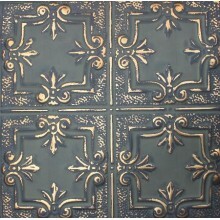 Antique Look Brass Color in Semi Gloss Brass Finis..
Edison Bronze Color in Bronze Finish Metal C.. 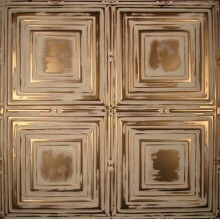 Hammered Bronze Color Finish Metal Ceiling T..
Honey Bronze Color Finish Metal Ceiling Tile..
K-Bronze Color Finish with Slight Texture Me.. 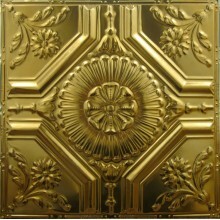 Smooth Brass Color Finish Metal Ceiling Tile..
Transparent Yellow Gold High Gloss Finish Me..
Umber Bronze Purchase a color sample to insure .. 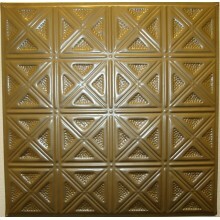 US Bronze Purchase a color sample to insure exa.. 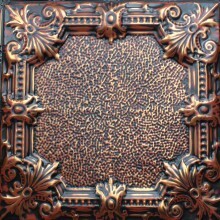 Bronze Burst Color - Bronze & Brown Gloss Colo..
Copper Leaf Purchase a color sample to insure e.. 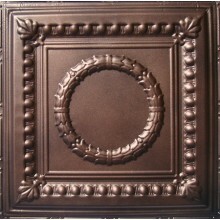 Maple Bronze Color Dark Maple Brown Finish M..
Mirror Black High Gloss Finish Metal Ceiling..
Oil Rubbed Bronze Finish with Slight Texture .. 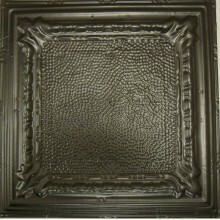 Satin Black Color Finish with Very Light Shine .. 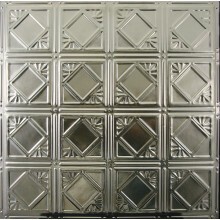 Antique Look Finish in Clear Color with Hint of Br..
Argento Metal Finish in Semi Gloss Color Met..
Candy Haze Black Purchase a color sample to ins..
Clear Tin Color - Pattern #111 Metal Ceiling.. 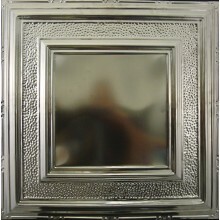 Gun Metal Gray Color in High Gloss Finish Me..
K-Rust Color Finish with Slight Texture Meta..
O'Nickel Silver Finish (Looks like Shiny Black Chr.. 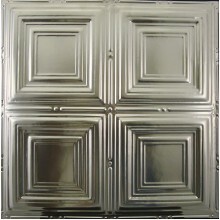 Smoke High Gloss Finish in Transparent Gloss ..
Standard Silver - Satin Color in Very Slight Metal..
Semi-Gloss Finish Almond Color Metal Ceiling.. 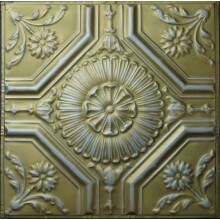 Satin Finish Antique White Color Metal Ceili..
Caramel Color Finish Metal Ceiling Tile Patt.. 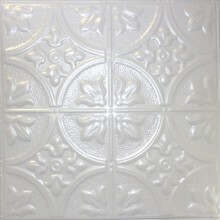 Cream Color Finish Metal Ceiling Tile Patter..
Creamy White Satin Color Finish Metal Ceilin..
Ivory Color Finish (Yellow with a hint of Green co..
Pearlescent White Color Finish in White Pearl Colo.. 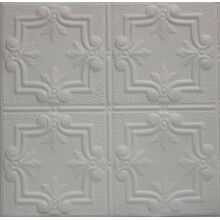 Reflex White in Slight Off-White Color Finish With.. 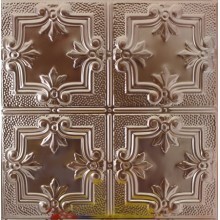 Satin White Color Finish Metal Ceiling Tile ..
White 90 High Gloss Finish Metal Ceiling Til..
Candy Drenched Bronze Purchase a color sample t..
Classic Copper Color Finish Metal Ceiling Ti..
Copper Patina Color Metal Ceiling Tile Pattern .. 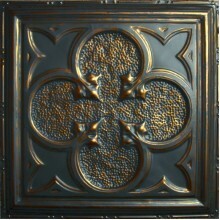 Medieval Copper (Semi Gloss Finish) P.. 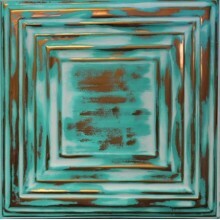 Satin Transparent Copper Color Finish (Low Gloss) ..
Soft Copper/Bronze in Finish Very Light Coppery/Br..
Transparent Copper Color Finish (High Gloss) .. 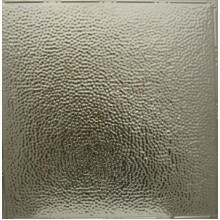 Bronze Antique Transparent Finish - High Glos.. 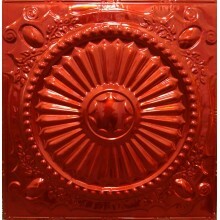 Gloss Candy Red Color Finish Metal Ceiling T..
Red Libra Color Finish Metal Ceiling Tile Pa..
Penny Pearl Color in a Glossy Pearl Finish M..
Soft Translucent Red Satin Finish Metal Ceil..
Soft Transparent Burgundy Satin Finish Metal..
Textured Maple Bronze Finish with Metallic Color S..
Translucent Red Color High Gloss Finish Meta..
Transparent Burgundy Color High Gloss Metal .. 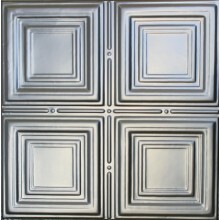 Unfinished Steel Tiles - Unpainted and Unfinished .. 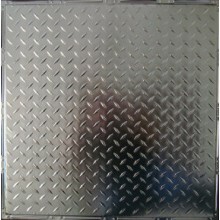 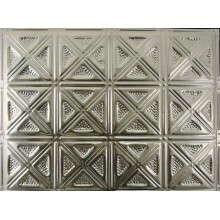 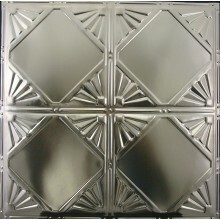 I did a lot or research on the various available tin and aluminum ceiling tile options. 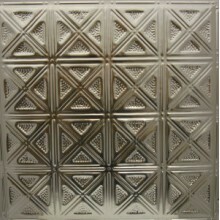 I personally spoke with Jeff at Metal Ceiling Tile Express. 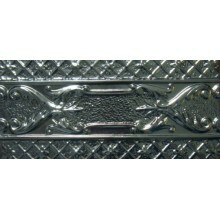 He was very helpful and informative, and my the decision to go with this product very easy. 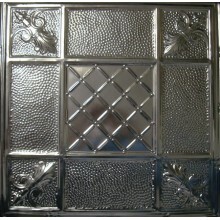 Shipping was fast and the product is extremely well packaged to avoid damage in transit. 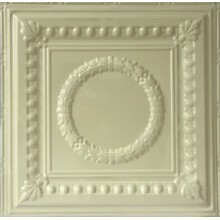 I was a little intimidated at first, as I have never installed a ceiling like this before, but as long as you do careful measurements and take the time to lay out the pattern ahead of time, you should have good results. 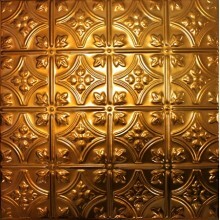 My ceiling came out looking stunning, and my bathroom isn't even complete yet, but I get lots of compliments on the ceiling! 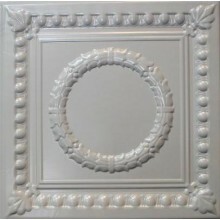 Awesome quality, fit and finish are right on. 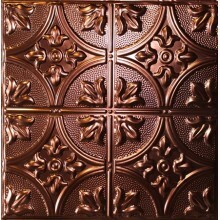 Would highly recommend this product and company. 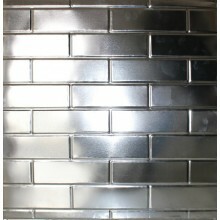 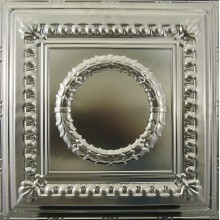 Finish edging for backplash: Solid Stainless or choose from 60 different colors..
Hand Faux & Solid Color! 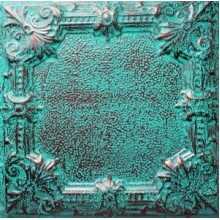 60 unique colors to choose from. 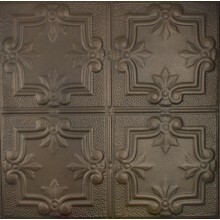 State of the Art Paint Booth for Artisian hand painted tin ceiling tiles. 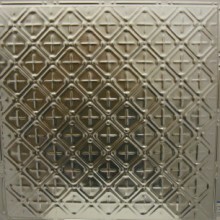 State of the Art Powder Spray booth for tiles, moldings & ceiling grid. 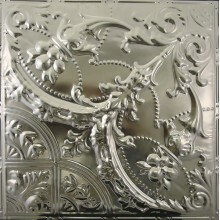 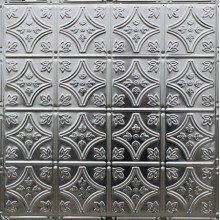 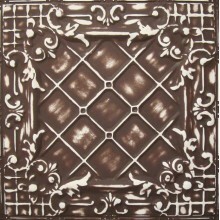 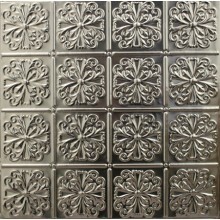 Our decorative tin tiles are available in unfinished metal in over 40 patterns or can be ordered in a large variety of 100 powder coated colors. 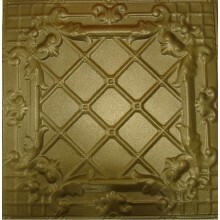 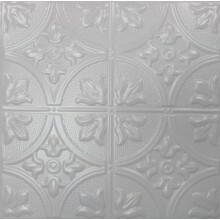 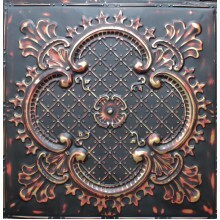 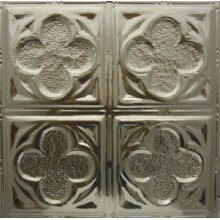 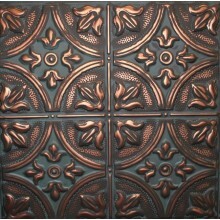 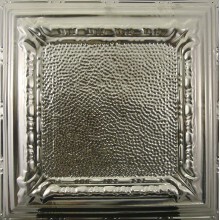 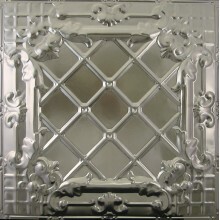 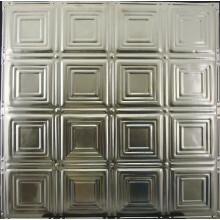 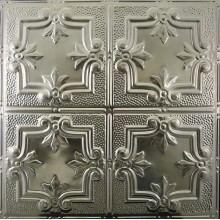 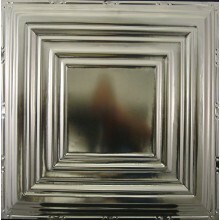 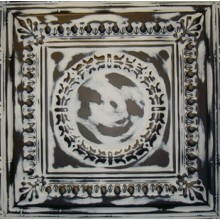 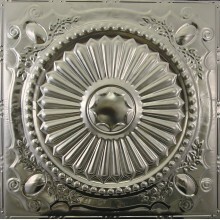 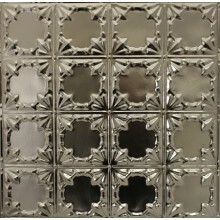 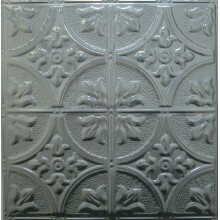 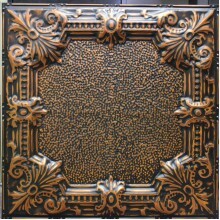 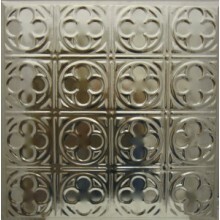 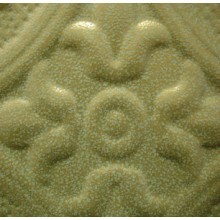 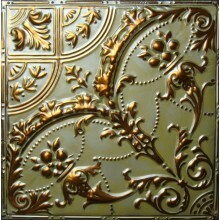 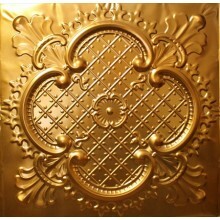 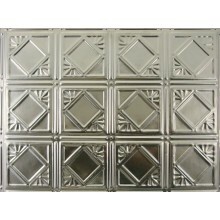 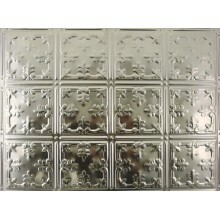 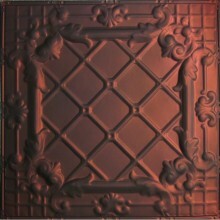 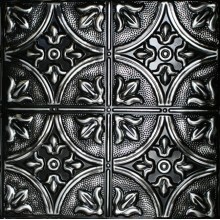 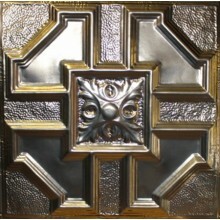 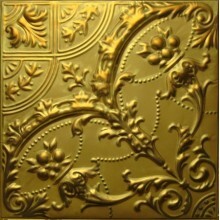 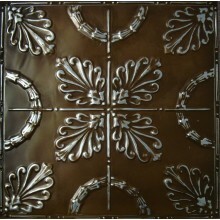 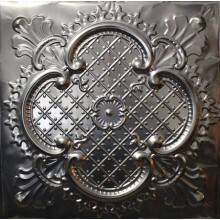 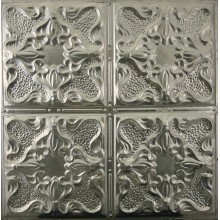 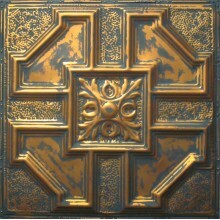 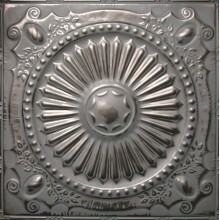 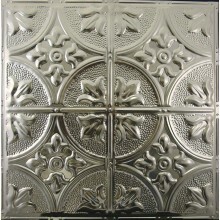 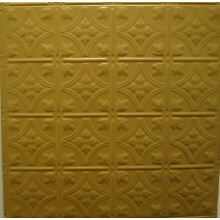 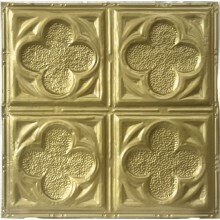 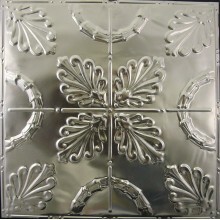 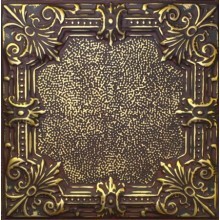 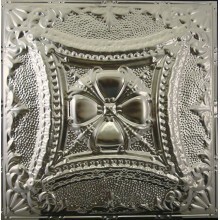 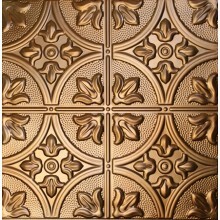 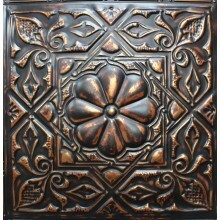 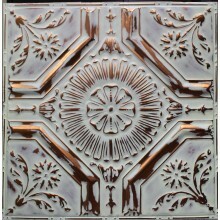 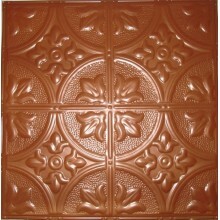 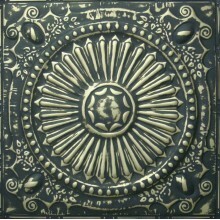 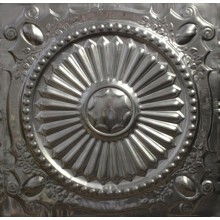 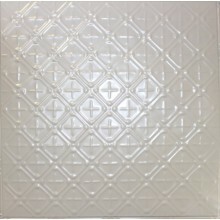 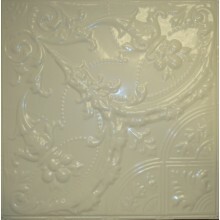 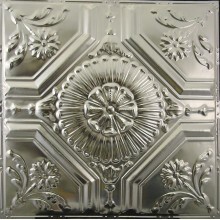 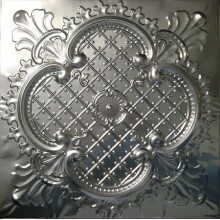 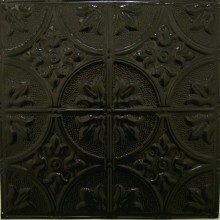 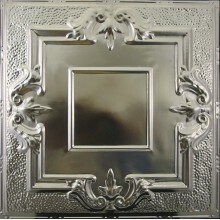 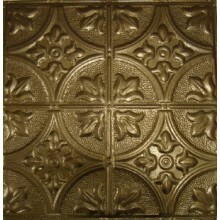 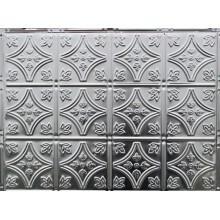 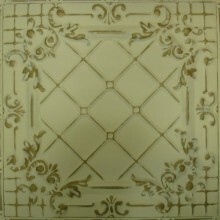 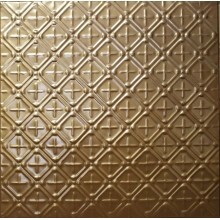 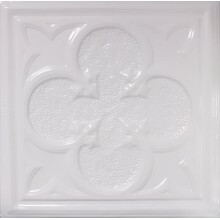 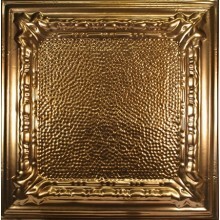 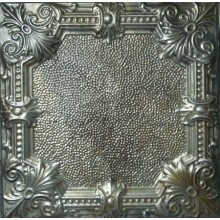 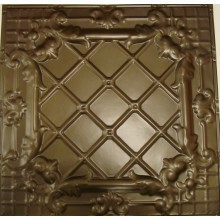 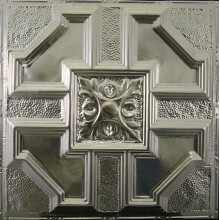 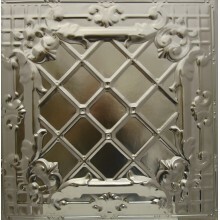 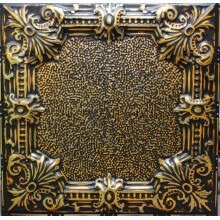 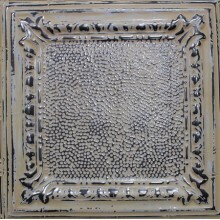 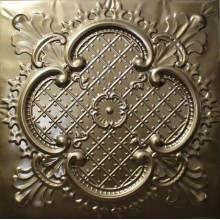 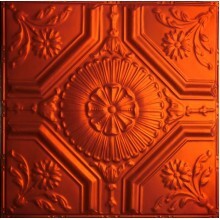 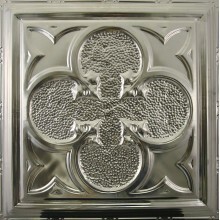 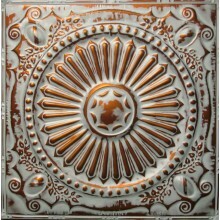 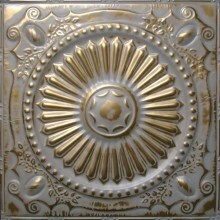 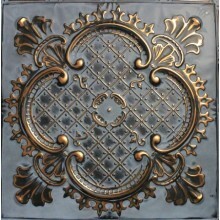 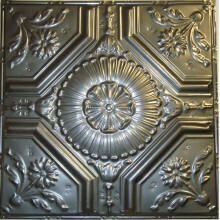 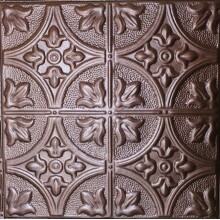 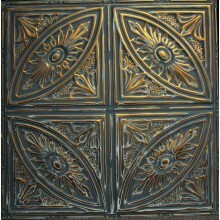 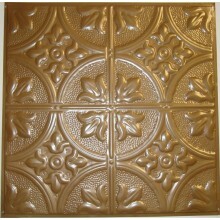 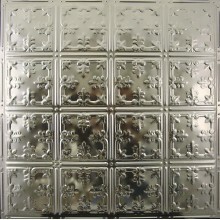 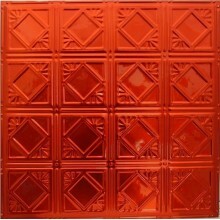 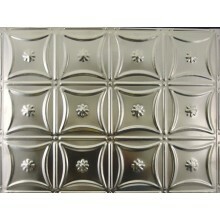 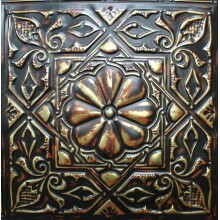 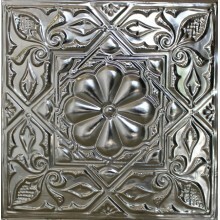 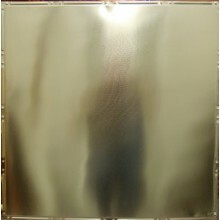 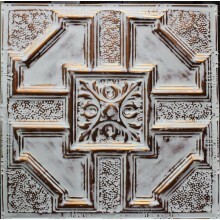 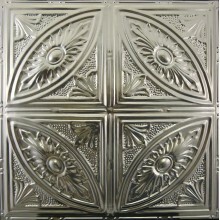 You ran also order faux hand-finished antique or vintage look tin ceiling tiles. 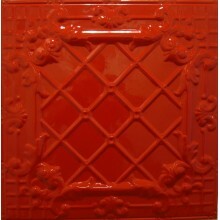 Please see our colors page for additional details. 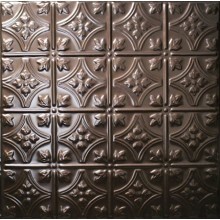 Learn how to install metal ceiling tiles and other items in our Instructions section. 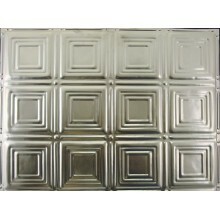 Call us on (941)723-2288 to find out about ongoing promotions and shipping discounts that are currently being offered.